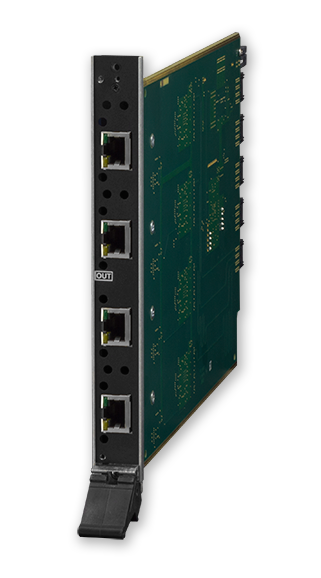 The DGX-O-DXL is a HDCP compliant twisted pair cable output board for the Enova DGX 8, 16, 32 and 64 Digital Media Enclosures. It has four connections per DXLink Output Board and is designed to transmit audio and video to DXLink Twisted Pair Receivers while passing bi-directional control and Ethernet over one standard twisted pair cable up to 100m. DXLink Power is available from the DXLink Output Board to power DXLink Twisted Pair Receivers. 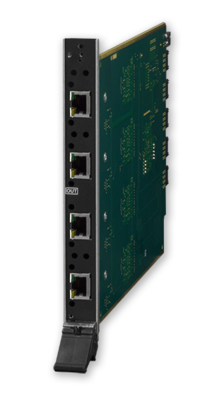 The Enova DGX DXLink Twisted Pair Output Board is ideal for applications where destination devices are located up to 100 meters away from the Enova DGX Digital Media Switcher and need to be distributed throughout a commercial or residential environment.